Imagine for a moment, if you might, the excited buzz of you and friends both old and new jesting about a weekend too short and a week too long. The light social chatter only broken by a tap on the shoulder letting you know it is your turn for one of the best coaches in the bay to run a critical eye over that dodgy backhand that is the only reason you are yet to be crowned Women’s club champion (or social champ)! For the next hour or so you are unsure whether you are at the squash club or a rock concert with the number of balls hitting the tin, but laughter encompasses all. Now relax a moment the hard work done, a bar comes into view with the friendliest service in the bay – Welcome to “Tin and Grin, Ladies Night”. We (the club) would like to invite you all to be a part of a fun, social, engaging and developing ladies squash experience down at the club on a weekly basis. Regardless of whether you are ungraded, or A-grade, social or competitive you won’t want to miss out on being a part of the Tin and Grin family. 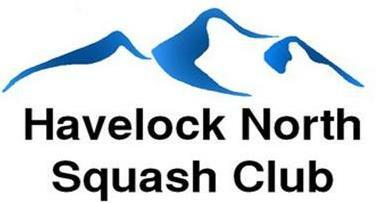 Do you want to broaden your squash friendly social network? Do you want to give back to a sport that gives so much in return? Do you want to find that drilling partner that pushes and pulls you along? Do you want to improve your squash? Do you want to have relaxed fun, with a great group of people? If you answered yes to any of these questions then please come down to the club, Tuesdays at 7.00pm ready to roll. To find out more please contact BP on 021 595 719.